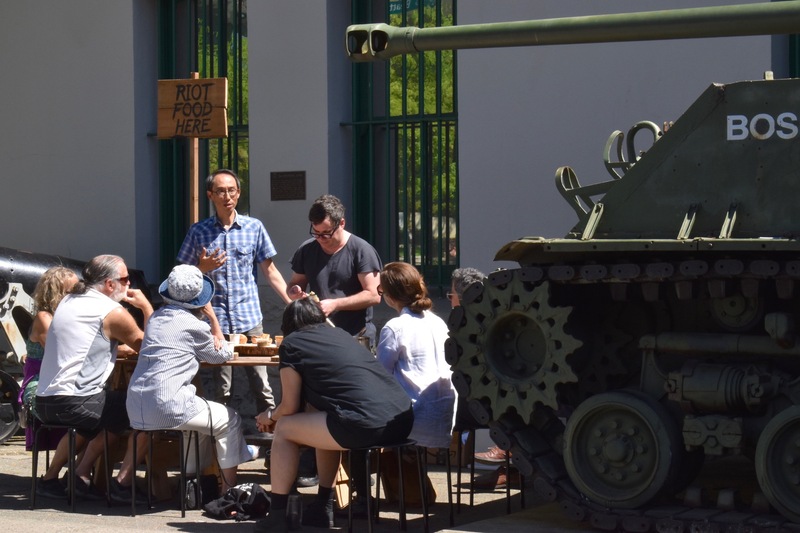 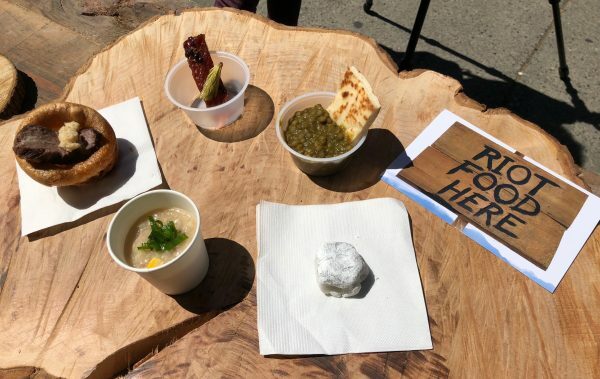 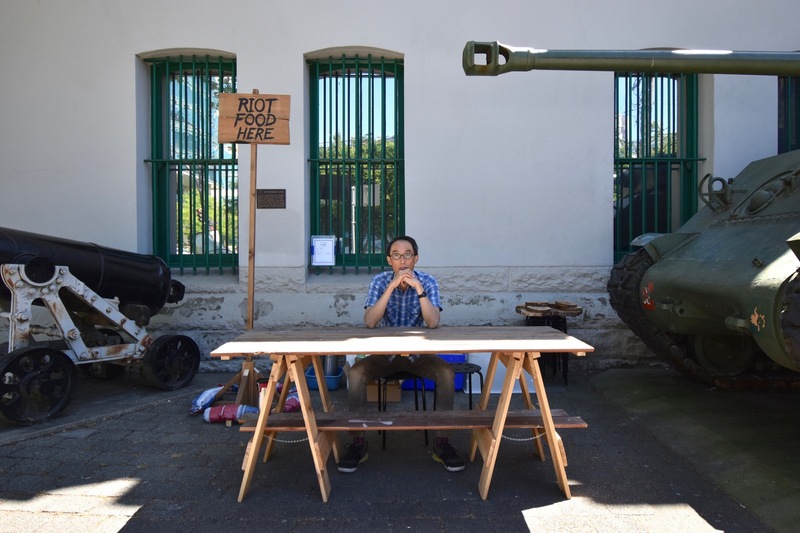 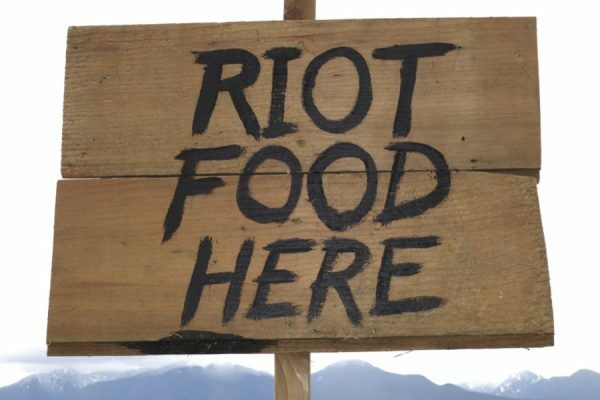 RIOT FOOD HERE recalls the 1907 anti-Asian riots through the form of food offerings in 4 locations over 4 days in May and June 2018. 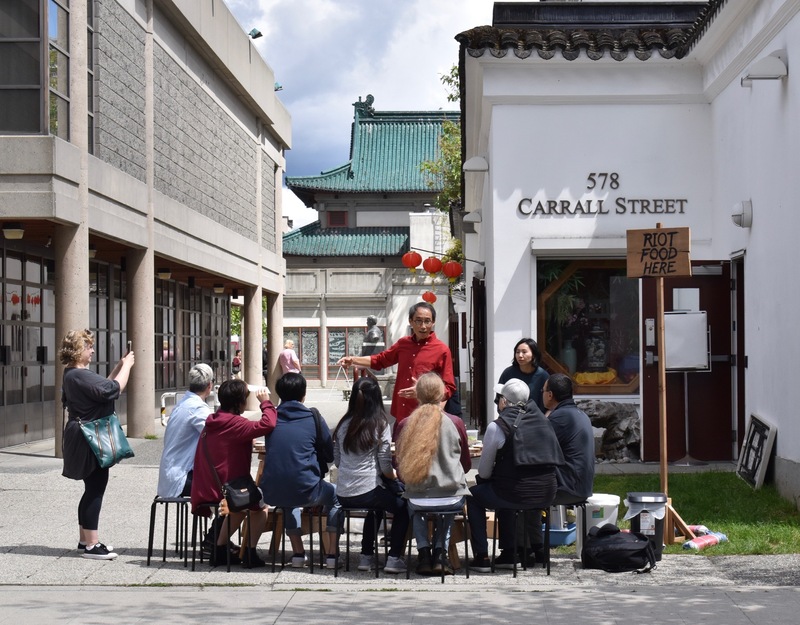 These sites track the route taken by the parade organized by Vancouver’s Asiatic Exclusion League from which a mob formed to attack Chinatown and Nihonmachi. Beatty Street Drill Hall/Cambie Street Grounds (now Larwill Park), where the demonstration began; City Hall (at the time in the Old Market Hall next to the Carnegie Centre), where inflammatory speeches were made that incited the riot; Chinatown, where rioters smashed windows and attacked any Chinese caught on the streets; and the Powell Street Grounds (now Oppenheimer Park) in Nihonmachi, where the riot eventually ended two days later. 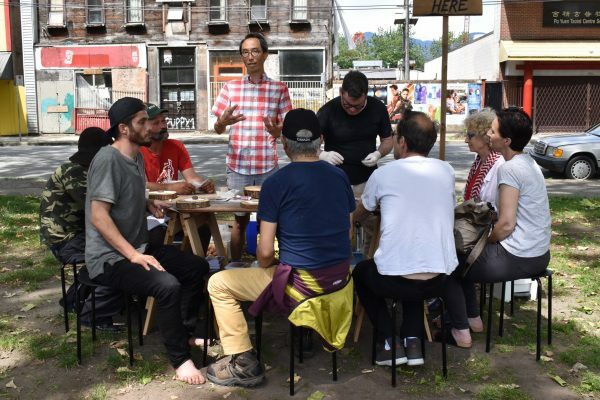 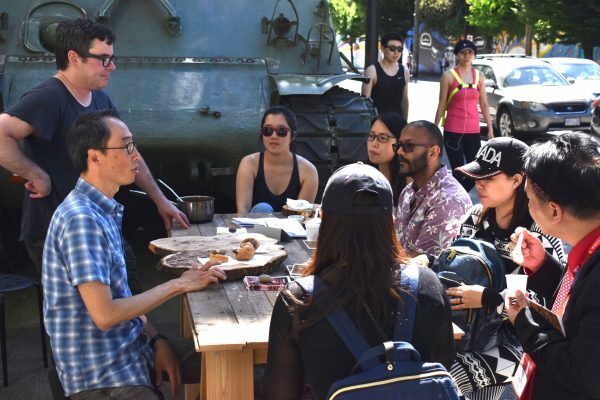 The food tastings reflect five cuisines that people in the area would be eating at the time of the riot: European, Chinese, Japanese, Aboriginal and Punjabi. RIOT FOOD HERE stimulates dialogue and awareness of this historic event as a way to reflect upon the ongoing struggle since colonial times about who has the right to live and eat here. 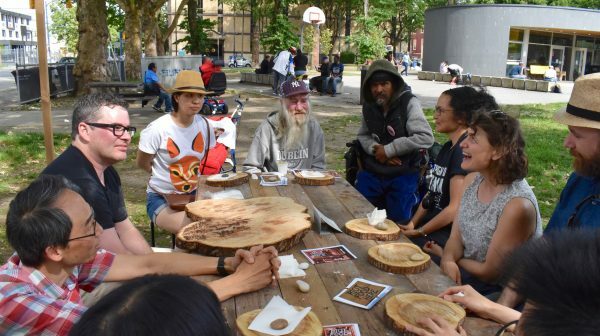 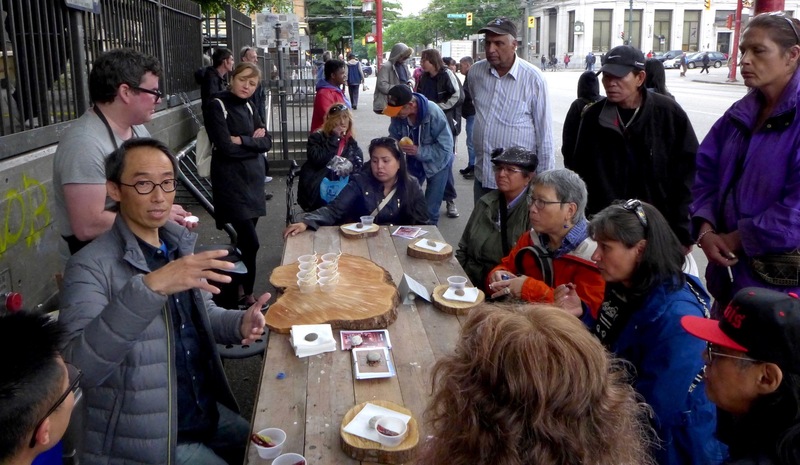 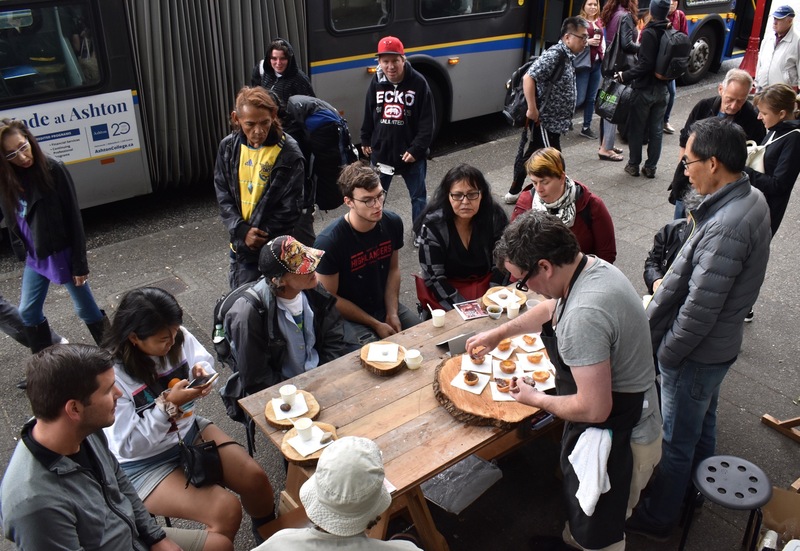 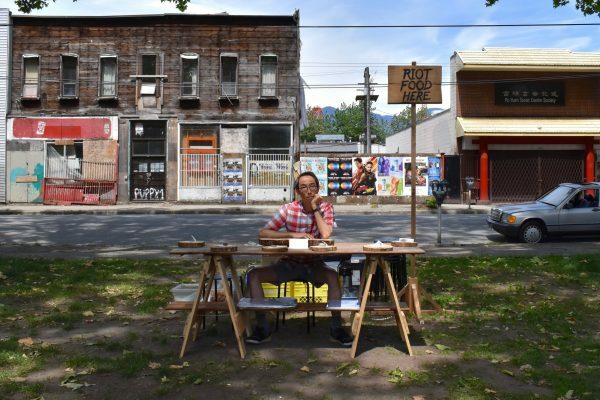 Monday May 21: Walking Tour with Michael Barnholden, Beatty Street Drill Hall, 620 Beatty St.
Sunday May 27: Beatty Street Drill Hall, 620 Beatty St.
Sunday June 3: former City Hall, 425 Main St.
Sunday June 10: Dr. Sun Yat-Sen Garden, 578 Carrall St.
Sunday June 17: – Oppenheimer Park, 400 Powell St.